These adorable, beginner friendly Crochet Cuffed Baby Booties have been a smash for the creator and you won’t be able to wait to make them for your little one. Watch the video now. Wooly Wonders Crochet have been feeling the love when it comes to their Crochet Cuffed Baby Booties and they sure are cute. In fact, they are an absolute must make. If you have a newborn or are just in proud mama or grandma mode, you will love whipping them up for a special little one. 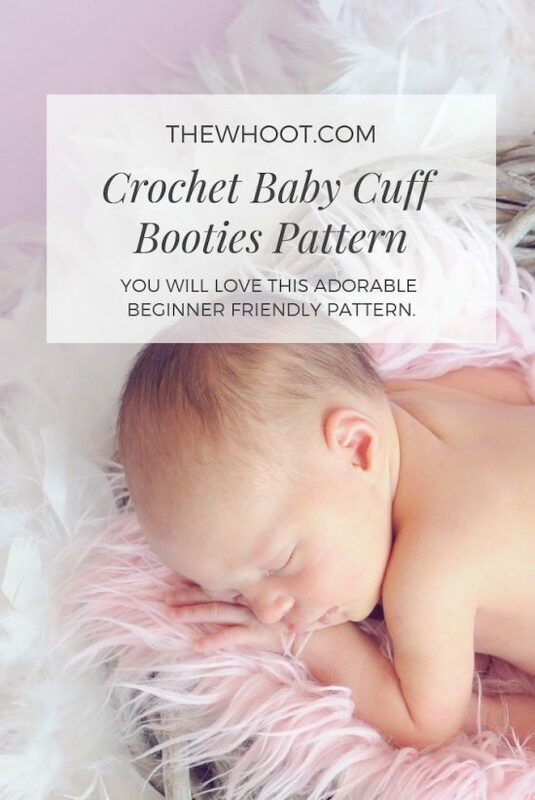 The Crochet Pattern is in US/American terminology. This is an easy to follow pattern and the creator has a youtube video that has had a million views. See more of our Crochet Booties Ideas here.